If you have “Asbestos” as a saved search in your Google News like I do, then you’ve noticed a recent increase in asbestos exposure incidents. If you haven’t noticed this increase, let me show you what I’m talking about. March 26, 2012 – News station WIVB 4 reported an incident involving children playing with asbestos at an old junior high school in Niagara Falls, NY. Parents found their children covered in dust after drawing on the sidewalk at the old South Junior High School. Upon further examination, the parents realized the kids had mistaken asbestos for chalk and were using it to create sidewalk art. It’s suspected that vandalism occurred prior to the children arriving at the old school grounds and that damaged hot-water pipes were the source for the asbestos. Licensed contractors showed up shortly after the incident to clean up the asbestos. 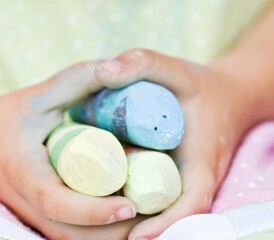 But the parents are still worried about the health effects that might stem from the exposure. Unfortunately, only time will tell. 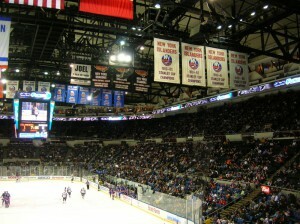 March 26, 2012 – Allegations of asbestos exposure occurring in Nassau Coliseum, home of the New York Islanders hockey team, surfaced in an NBC New York article.After more than a dozen complaints from workers, an investigation into asbestos exposure concerns has begun in the four-year-old arena. Photos of an asbestos-like substance on the floor and on the walls of the boiler room have been presented as evidence. Two longtime employees have already been diagnosed with mesothelioma, a rare cancer caused by asbestos exposure. Many of their colleagues suspect the building’s asbestos played a big role in their cancer development. “We’ve raised questions about it for years and were always told it was nothing,” one worker said. We’ll be looking forward to the conclusion of the state’s investigation on the matter. March 27, 2012 – An asbestos discovery will delay a library opening in Cedar Rapids, Iowa. During the demolition of the old library, officials uncovered asbestos in the building. This finding will cost them an estimated $1.3 million in asbestos abatement fees and delays to the project. Although asbestos is a naturally occurring mineral and technically wasn’t invented, we couldn’t agree more with that sentiment here at the Mesothelioma Center. March 28, 2012 – Plans to create a waste treatment facility on the grounds of an old asbestos manufacturing plant recently surfaced in Sydney, Australia. ABC Australia reported that the site of the old James Hardie asbestos plant was being considered as a location for a waste treatment facility despite the Asbestos Disease Foundation’s warnings about stirring up asbestos. One official wanted to build a housing development on the same site. As you can imagine, many were outraged at the mere thought of this happening. In this day and age, with all that we know about the dangers of asbestos, how could someone really propose such an idea? The first mesothelioma diagnosis that was definitively linked to asbestos exposure was made in 1964, almost 50 years ago. Yet after all these years, we still haven’t managed to rid ourselves of this deadly substance. Let your voices be heard and raise awareness during this year’s National Asbestos Awareness Week which takes place this week. It’s time to ban asbestos for good. Do you agree? Let us know in the comments below, on Facebook, or on Twitter.